Learn how to do the Bodyweight Squat exercise which targets legs. No equipment necessary. Primary Body Part LEGS Bodyweight Squat Instructions Stand with your feet slightly wider than hip-width. Slowly bend at the knees and drop your hips to lower your body. Pause. Return to the starting position. 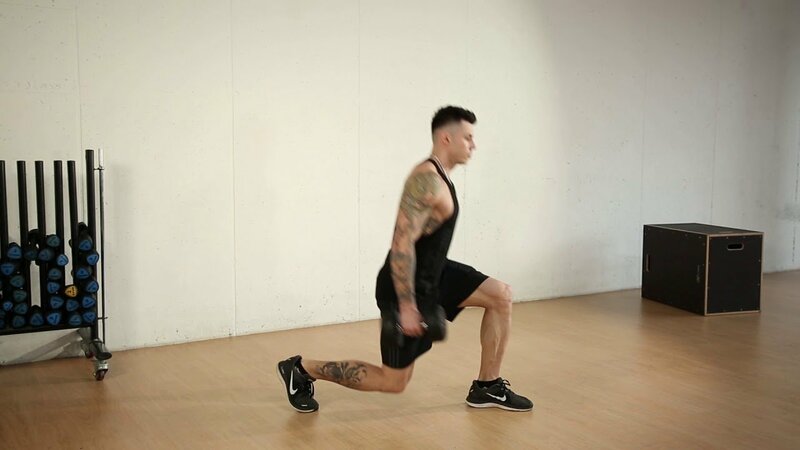 Learn how to do the Glute Activation Lunges exercise which targets legs. No equipment necessary. Primary Body Part ABS Glute Activation Lunges Instructions Stand with your feet together, arms raised in front to shoulder. Move your arms and lean your torso in the opposite direction to the lunge movement. Pause. Return to the starting position…. Learn how to do the Kneeling Hip Flexor Stretch exercise which targets legs. No equipment necessary. Primary Body Part LEGS Kneeling Hip Flexor Stretch Instructions Place your knee on the ground. Place both hands on a thigh. Push hips forward. Hold stretch. Return to the starting position. Repeat.